Welcome to the home of the unusual, and the unexpected! 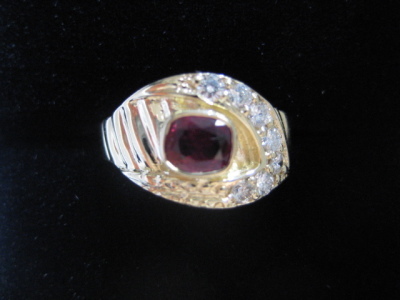 Many of our items are one-of-a-kind, created by us. 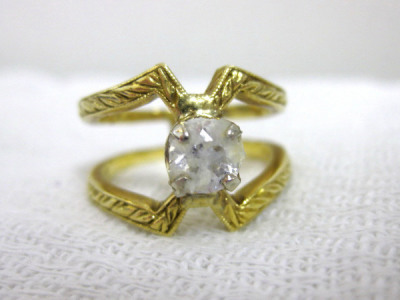 We happen to favor the vintage look, and you will see that reflected in a lot of our fine jewelry pieces. 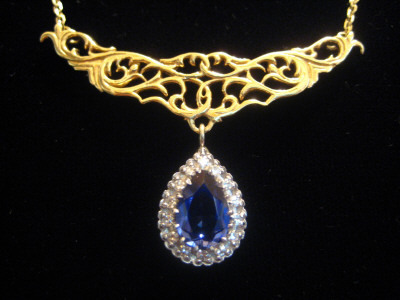 Occasionally, we have some lovely jewelry that was owned and cherished by someone else. You never know what​ you might find when you come in! Most of our items are crafted in 14K white or yellow gold, but we also carry some 18K gold pieces, and some things in rose gold, and platinum. You will find our prices are reasonable, and we will try to make you feel right at home when you come in. Do stop by, and YOU be the judge! By the way, our store is child-friendly - children are always welcome. We all started out as children, didn't we? a broken watch band - FREE of charge! We have been enjoying serving our customers from Manatee County and Sarasota County, since 1998. Originally, the store was called Jewelry Outpost, but many years ago, we decided to change it, to more accurately reflect the jewelry selection we have. 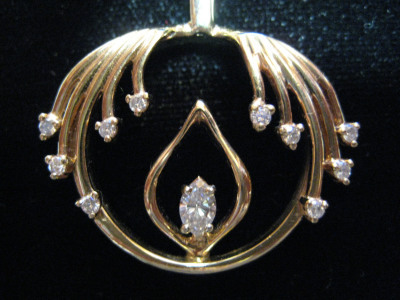 Many of our pieces of fine jewelry are one-of-a-kind, created by us. We specialize in sturdy, durable items that will hopefully become family heirlooms. You'll never know what you might find when you come by! Peach's Restaurant and HMP Medical Center.